Home » Store » How to Recognize Counterfeit Movements » Am I Being Deceived? Do you know where the boundaries are? Do you know the distinguishing traits of true Christianity, phariseeism, and the New Age Movement? You will after you have read this book. Set your borders straight, your vision high, and your passion at full steam ahead. Come explore true Christianity, phariseeism, and the New Age Movement. How can I be spiritual without becoming New Age? What does the Bible teach concerning visualization? How do pharisees react to the move of the Holy Spirit? How can I avoid both the New Age & phariseeism? What does the Bible say about dreams, visions and imagination? What does the Bible say about faith versus a positive mental attitude? What does the Bible say about journaling versus automatic writing? "Am I Being Deceived? should be required reading at every seminary in the land." 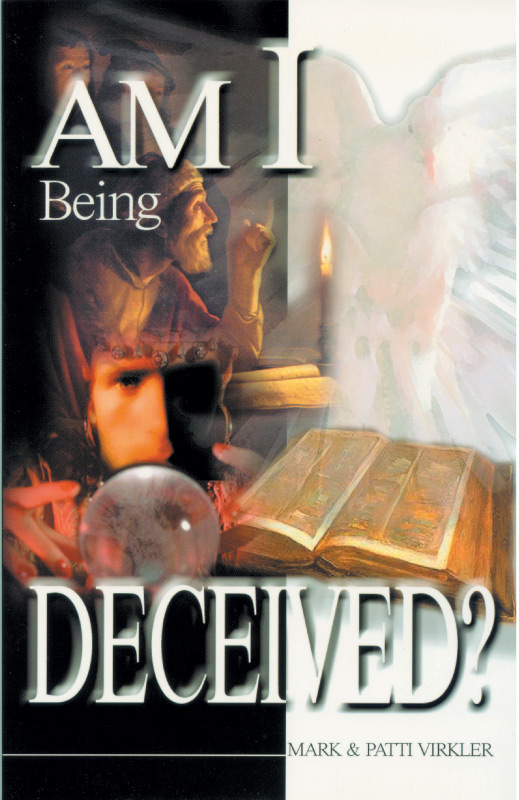 "Mark and Patti Virkler have performed a great service to the Body of Christ with the release of this book (Am I Being Deceived?). It is both grievous and amazing that Christians have been so seemingly paranoid regarding issues associated with the New Age movement. While the Bible does indeed call us to be wise as serpents and not allow our thinking to go astray, it also tells us that greater is He that is in us than he that is in the world. Could it be that far too many Christians appear to have more faith in the ability of the enemy to pull them off course than they do in God to keep them secure? "I am excited to recommend this book as it contrasts the beauty of the real with the sometimes not so subtle ugliness of the counterfeit. It not only looks at New Age thinking, but it also looks at the deception inherent in those caught up in the opposite extreme, i.e., legalism." Wow, I devoured the book “Am I Being Deceived?” in two hours last night with notes in the margins, highlights, and all the while texting my husband juicy comments from the book. What a wonderful revelation of 2 false religions/counterfeits to Christianity - New Age or Pharisee-ism. Absolutely right on!!! I am thrilled to have found such a solid overview of this difficult and touchy subject. Every Spirit-led church should make it mandatory reading and give it out to visitors. With more than 1000 copies downloaded, we finally have it in print! The following information is quoted directly from here. I think it is important to deal with reality and not with political hype. Global warming stopped 16 years ago, reveals Met Office report quietly released... and here is the chart to prove it.